Killing Floor 2 is going into Early Access soon. We played a bunch of it last week with Tripwire, including a feeble attempt at KF2's hardest difficulty, Hell on Earth. 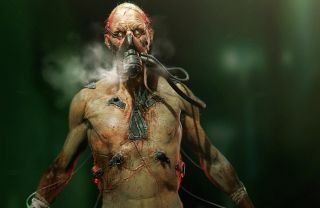 What we couldn't show you then that we can share today was our finale against Hans Volter, the toxic gas-slinging Nazi scientist who will be the first of KF2's three planned bosses. Tripwire calls Hans "A 100-year-old Nazi scientist gone very wrong and very evil."